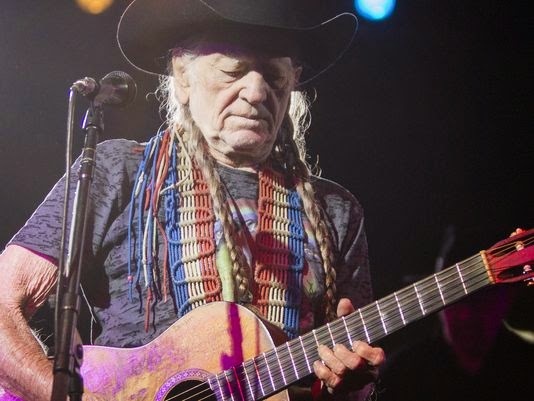 He was born on 29 April 1933, which makes him 82 today. 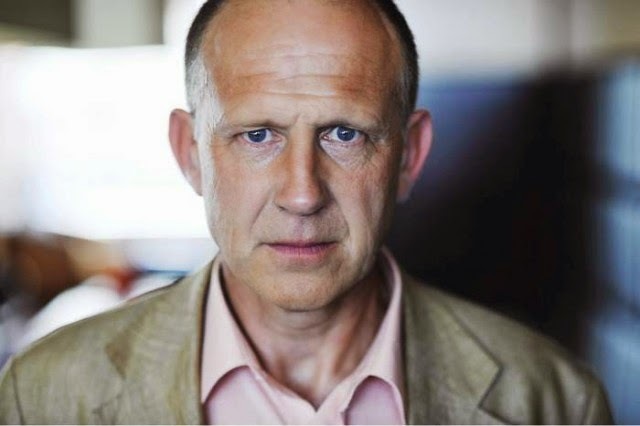 English novelist and translator Tim Parks (60, lives in Milan: well, you would, wouldn’t you?) has a column on the New York Review of Books blog about books and the book world. These have now been collected into a book, called Where I’m Reading From: The Changing World of Books. More details here. It was very different in the 1970s when I began to hazard a few words on paper. One was drawn in to this idea that there would be something noble about this profession, and that one might achieve a certain dignity. The more that goes on, the more life goes on, the more you feel how sick that project was. The whole publishing industry doesn’t really work in that way, and that kind of aim—which is just at the end a thirst for celebrity—is pretty depressing as an aim to pursue. About 70% of novels in Italian are translated, and about 70% of those are translated from America. So half what people are reading is American. They’re not reading from Czechoslovakia or Albania or Russia. They’re just reading from America. So an American author actually doesn’t have to think about anything. He can just write and think for years for Americans—and in fact, everybody’s becoming Americans. So it’s not a problem for him. But if you’re in Holland, Norway, Sweden, even Italy, to a degree, then apart from the fact that you’ve grown up with the idea that lots of books came from other places and so there’s no reason my book shouldn’t go to other places— and apart from the fact that the number of people buying books in your country is much smaller—your chances of surviving on a book that’s totally in Italy is very small. There’s just a tendency to look outward more. A NZ-born novelist friend who is big in Europe and has a high-powered New York agent echoes this: at that level, she says, publishers – and hence agents – want only novels that can be readily translated. Which makes it hard for a New Zealand writer writing about New Zealandy things in a New Zealandy way to crack the world. 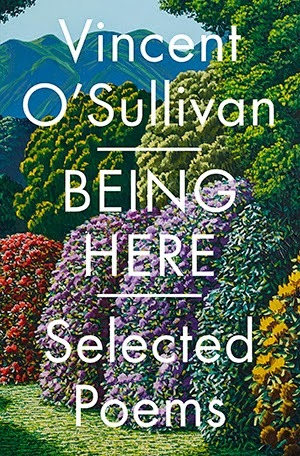 Vincent O’Sullivan’s greatest hits, chosen by him from 16 of his 18 collections so far, plus eight new poems. A hardback, it is a beautiful object – the cover painting is Whenua Tapu Hills (2014) by Karl Maughan and it wraps around to the back – and sells for only $40, making it the bargain of the year. I have no idea how VUP can do it at that price. The poems are, as ever, astonishing. The book was launched mid-April and went straight to #1 in the bestseller list for fiction this week. 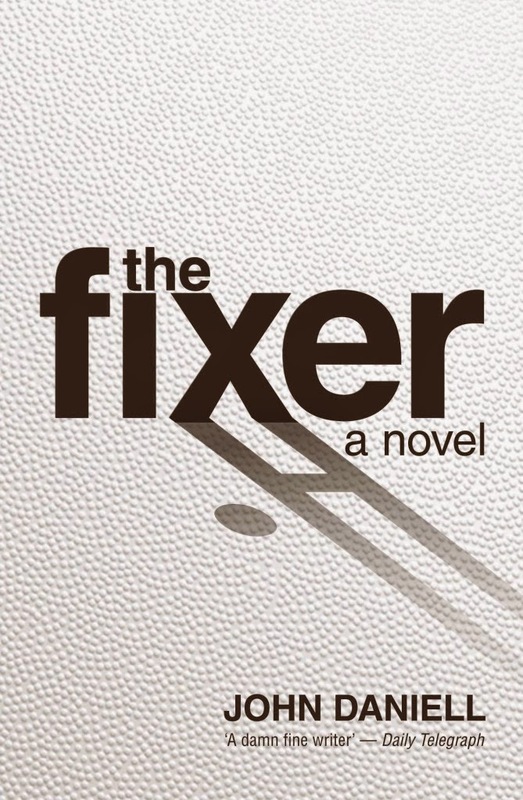 In the same list, John Daniell’s debut novel The Fixer enters at #8. That wasn’t his number when he was a professional rugby player, but I don’t think he will complain. Nice for John to have a bestseller, nice for Upstart Press who published it – and also nice for me. It is the sixth (at least) fiction book in a row I have edited that has made the top ten. I am lucky to work with such good writers. An inability to answer a random, irrelevant, and often daft question in a French meeting will demonstrate that a speaker is “unprepared”, and thus possibly unsuitable for promotion. Hence he or she must “prepare” by stuffing their presentation with dozens of slides containing table after table of raw data in Font 8 or smaller, which are preceded by five or more slides of “context” containing sentences such as “In the beginning God created the heaven and the earth” and “When viewed in an inertial reference frame, an object either remains at rest or continues to move at a constant velocity, unless acted upon by an external force.” Given French presentations normally consist of the speaker reading the contents of a slide line by line, one after another, it’s no surprise to learn that meetings can run on for hours. I don’t really have any interest in Jurassic World. If I want to go and see a bunch of dinosaurs, I can always attend an Aosdana meeting. Aosdana is an association of Irish artists limited to 250 members and supported by the Arts Council of Ireland: “Membership is now open to architects and choreographers.” God it sounds dismal. He is teaching creative writing, and so is she. It is not perfect, but they have to earn a living somehow. On one occasion, they meet on a panel at a synopsis-writing seminar. Later, as they gossip listlessly about the decline of publishing, he wonders whether he has the energy to make a pass at her, while she works on an excuse to get away from him. The Guardian is a curiously inward-looking beast. If any other institution tried to market its own experience of its own work nearly as persistently as The Guardian, it would surely be called out for institutional narcissism. Julian Assange making an accusation of narcissism is like… Nope. Words fail me. Pot-kettle doesn’t begin to cover it. This is from the 23 April edition. Which path are New Zealand TV programmes taking? Campbell Live is one of the good programmes people like to watch in their TV. There are very good questions put to the political leaders and others. Campbell does lots of research, investigates and then produces the programme and he is quick to put the next question depending on the answer he gets. A few years ago, when Helen Clark was standing for a second term, there was a very good debate and Campbell had some well researched questions, which became a big story at that time. 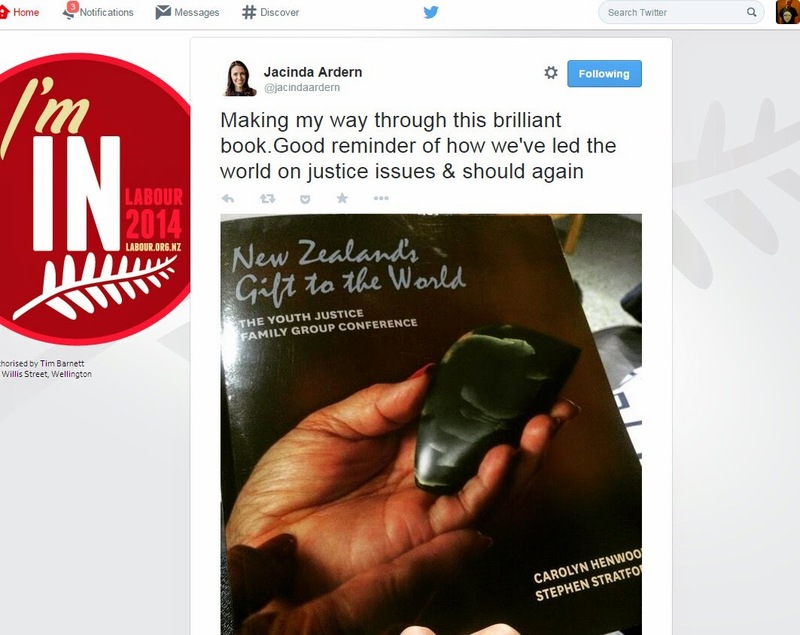 Even just before the last general election, Campbell put hard questions to John Key. Viewers are well aware of all those questions and the answers they heard on TV. Is there a political reason as to why they want to get rid of this highly popular Campbell Live programme? What other good programmes do you get in TV, other than violence and murder? In 1990s, we were able to watch all cricket matches on TV. Now that has disappeared. In all other cricket-playing countries, all the world cup matches were on TV and everyone had the opportunity to view them live, the same as Campbell Live. Even Radio Sports failed to broadcast all the cricket matches played in Australia and New Zealand. Let Campbell Live continue for the benefit of all New Zealanders. Even if we agree, and I believe that sometimes we do, that late agricultural practice is wanting and medicalisation can create as much disease as it cures, we cannot agree that you could find your arse with two hands. With two hands, Google Maps and a year of intensive arse-finding workshops. As a former professional player in French clubs for 10 years and author of a couple of autobiographical-style books, Daniell is well qualified to reflect on the mercenary-like nature of the modern player and the potential for corruption that we tend to associate more with cricket. Being Rugby World Cup year, it’s likely we’ll be inundated with non-fiction books dedicated to All Blacks history or reflections on rugby by players past. Daniell’s novel makes a refreshing change and contains no boosterism. Rather, the story is a sobering reminder that all is not perfect in the world of union, and that the men and women who play the game are entirely human. The launch was great. John gave the best author’s speech I have ever heard at a book launch, because it was the shortest I have ever heard. He thanked his agent, the late Michael Gifkins, for making the book happen, and that was it. Excellent. John Daniell is huge. Possibly contains multitudes. He must be 6ft 6in and has shoulders as wide as the Waikato river. He is a very nice man but is, frankly, a hulk. I have met a few All Blacks in my time – fun fact: I used to work with Graham Mourie and Stu Wilson – but John would tower over them. I was talking with him, Craig Sisterson (at least six feet and solid with it) and Greg McGee who – well, I have no idea how tall Greg is but he was up there in the gods with John. I was so glad no one was taking photos – I must have looked like Peter Dinklage beside them. Next morning I had coffee with my friend James Macky, the artist formerly known as James Allan, I told him the gossip story which, as a married gay man (as in, married to another gay man), he loved. As I was leaving, my former stepson, who was at same cafe with his partner, grabbed me. He – people overseas never believe this New Zealand zero degrees of separation stuff – was best friends at school with John Daniell. And the dismantling of Te Papa Press would mean such a loss to the museum – in terms of outreach, nationally and internationally; credibility as a research institution; and brand excellence. Te Papa Press is widely perceived as one of the success stories of the Te Papa project, and its highly effective staff have an enviable reputation in the museum and publishing world. If they go, print publishing at the museum will never recover. Te Papa Press is one of our best publishers. (Disclosure: I have done some minor work on books for them in recent years.) The idea that you can redund the staff and suspend publishing for four years and then resume again is insane. Jill Trevelyan is right: Te Papa Press will never recover, which will be a huge loss to New Zealand publishing and New Zealand culture. So here is Melina Mercouri singing “Never on Sunday” (“Ta Paidia Tou Piraia”) from the 1960 movie of that name: she won Best Actress at Cannes that year; the song won the Oscar. Ms Mercouri (b. October 1920, d. March 1994) was Greek’s Minister for Culture from 1981 to 1989. For most of today there was a man outside my office trimming the neighbour’s hedge. It is a tall and long hedge, and his hedge-trimmer was very loud. He wore earmuffs: I didn’t. So the only work I achieved was, just as I was sitting down to lunch, a phone call from a client who said, “I’ve only got a couple of minutes,” as if I were imposing on his time rather than him on mine, and who then talked at me for 25 minutes about his book. Tomorrow morning I shall rise early and wrangle Miss 11 and Miss 13 so they will be ready to leave the house at 8am for the 40-minute drive to Kihikihi – which is very near Te Awamutu, Crowded House fans! – to be dressage runners at the Kihikihi International Horse Trial. These are the school holidays, which breed unproductive days. This is from the 30 March edition. The Government is about to reduce uemployment to about half of one per cent. Information leaked to the blogger Dripping Tap advises that Government has decided to replace the lonely, single, slightly deaf Siberian who speaks English with a Scottish penguin speech defect. She is to be released from being the sole call centre person for the Trans Pacific Phone Answering network. Dribble & Puddle & Associates, consultants to Government, have advised John Key to make it compulsory for all phone conversations to be answered by a real live person and this will bring back almost full employment. Blogger Dripping Tap is reliable, but like some in government, suffers memory loss and brain fade. As always, spelling, punctuation, grammar and logic are exactly as printed in the Waikato Times. Regular readers may notice that the writer’s name and address format has changed but not – hurrah! – anything else. There was a call of disorder to a house in Stafford St where a male was heard screaming. On investigation he was found just to be excited watching the cricket.